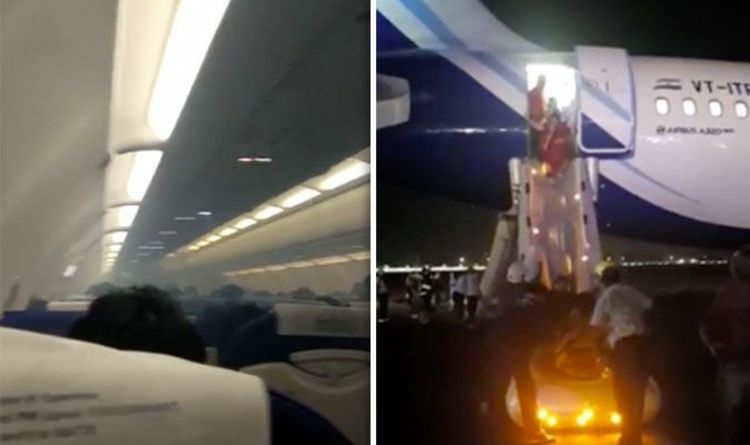 A FLIGHT was forced to make an emergency landing after the cabin filled with smoke while the in India, resulting in terrified passengers and was captured on a video which has since gone viral. The IndiGo flight was travelling from Jaipur to Kolkata when the incident occurred. Flight 6E-237 was carrying 136 passengers when smoke began to fill the cabin mid-air. The pilot was forced to issue a May Day call before making an emergency landing in Kolkata Airport. No passengers were thought to have been injured in the incident and an investigation has been launched into what caused the smoke. 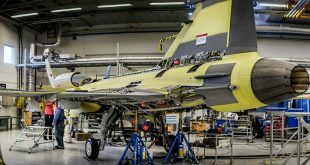 In the video, the cabin can be seen to be full of smoke as the landing gear can be heard emerging. Concerned passengers were spotted looking around and talking as the overhead “dings” alerted crew to landing. Later in the video, passengers were evacuated from the plane by the inflatable slide. They confirmed that, upon landing, some passengers were evacuated using the emergency chutes, while others left from the front of the plane. “It smelt like a burning heater,” says Subhomoy Halder, a 16-year-old Class 10 student who was onboard IndiGo 6E-237 on Monday evening, an Airbus A-320neo flight between Jaipur and Kolkata. “There was smoke everywhere. And it was getting thicker by the minute… At one stage, it was so strong, that our eyes started to hurt,” he says. The problem began “about 25 minutes before the flight was to land” says the teenager. “There was a baby in the back and they used an oxygen cylinder to help the baby” says Subhomoy. Videos of the incident corroborate this account. A flight attendant can be seen carrying a portable oxygen cylinder. A baby can be clearly heard bawling in the background. “They told us not to get off our seats and to stay calm. Just before landing, they told us to cooperate with them,” Subhomoy says. But the ordeal of the 136 passengers onboard was hardly over. Passengers in the back of the Airbus, including Subhamoy and his parents had to be evacuated through the emergency chute. “There were fire tenders all round,” he says. Passengers were put onto buses and taken away to the terminal. He said flight crew gave passengers “wet handkerchiefs” to stop the burning sensation when breathing in. Passengers were told to leave their hand luggage onboard and were met with fire crew and security on the tarmac.